You need to communicate with clients in advance of your pause so it does not come as a suprise to them. A coach's pause cannot be undone. Use this feature for planned time off only. You can continue to message clients, and they can continue to message you, during a pause you initiate. 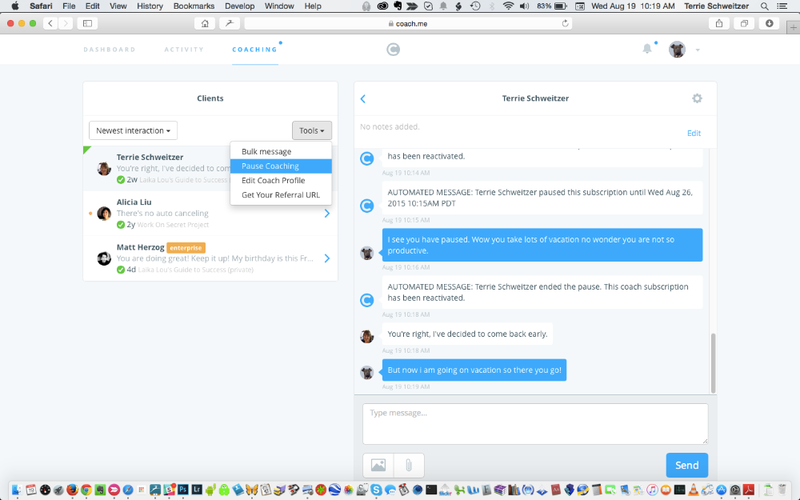 If a client initiates a pause on their side, they cannot message you during this time. 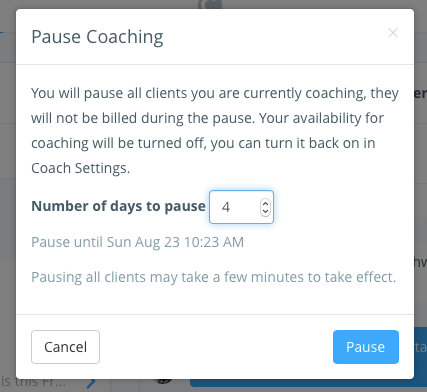 If you pause your clients, your availability for new coaching clients will be turned off, so you won't get new clients during the pause.